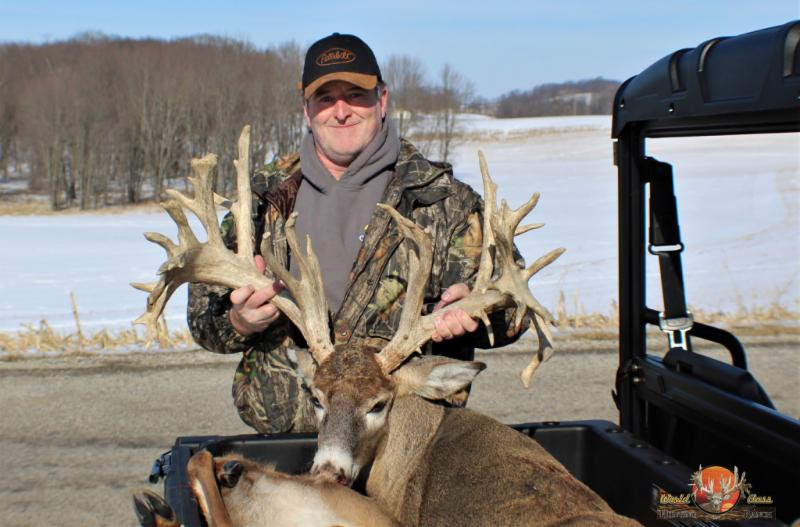 Gary from NC harvests a beautiful Typical Trophy at World Class Hunting Ranch! 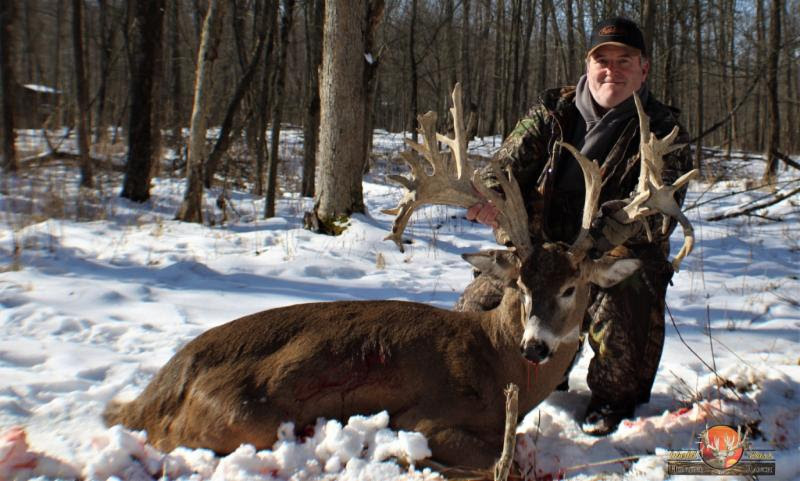 What a way to help close out this hunting season. 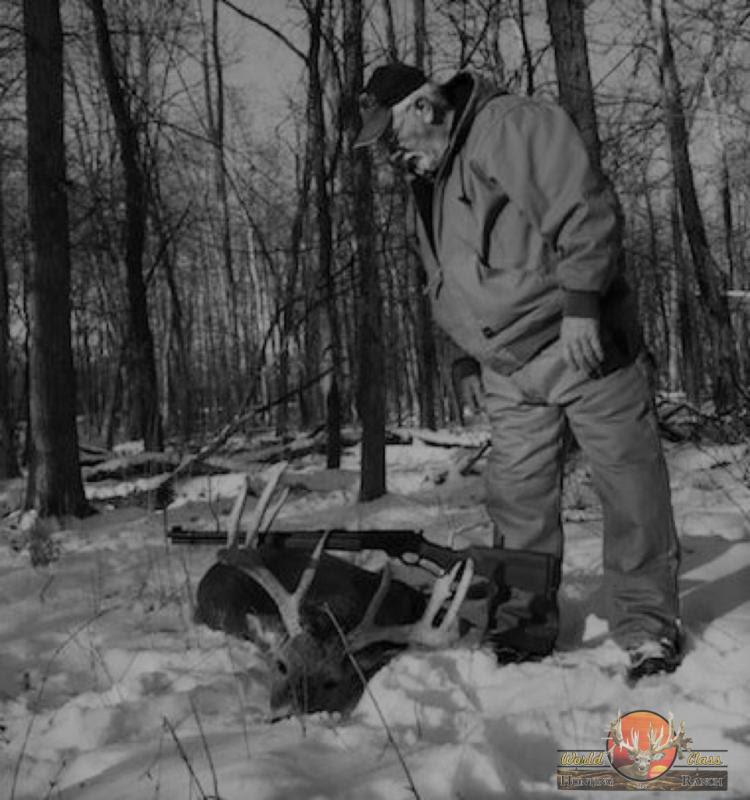 Gary stayed pretty calm, and his Lever Action 35 did the job! 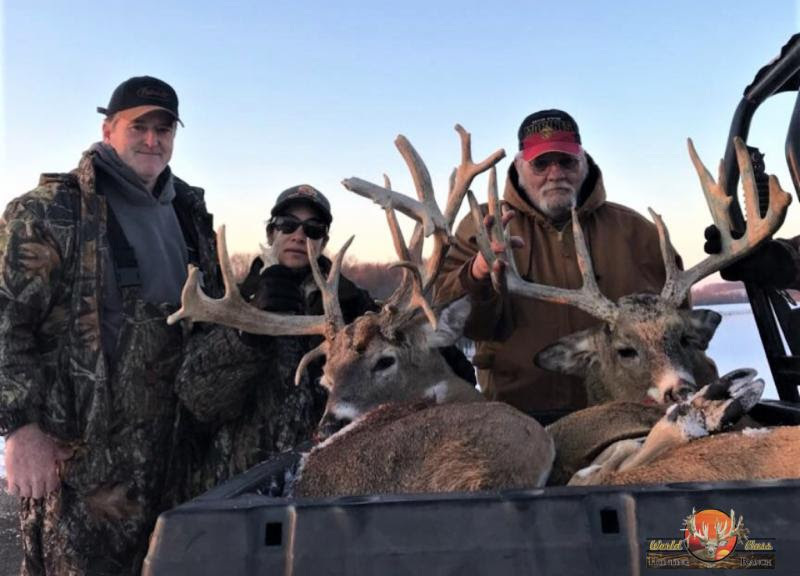 Thanks for hunting with us Gary, we appreciated your sense of humor! 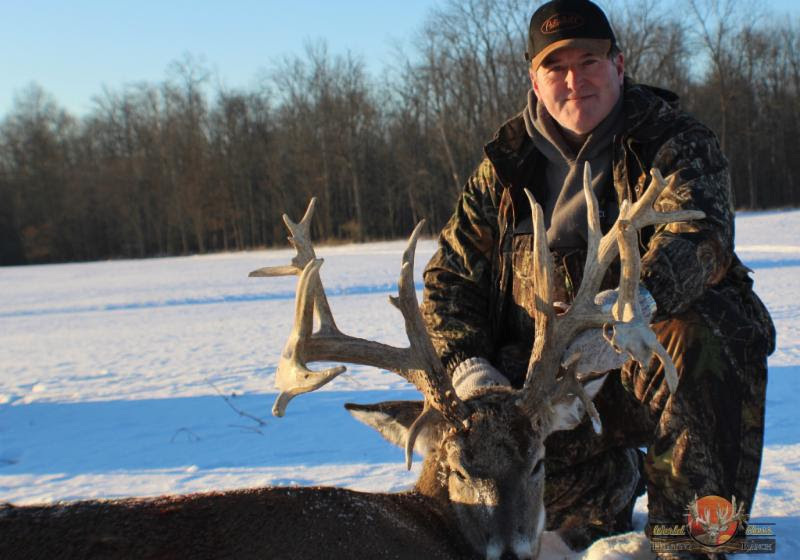 Now Matt waited till Gary had his buck, then off we went looking for a buck for Matt from Texas. 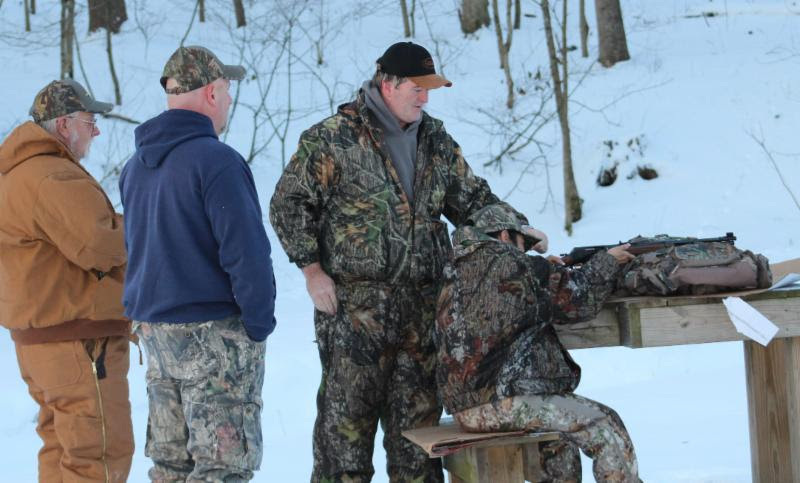 They have been friends a long time, and this hunt was Matt’s treat to Gary. Wow, some great guys to hunt with! Rich and I both had an awesome time with these guys! 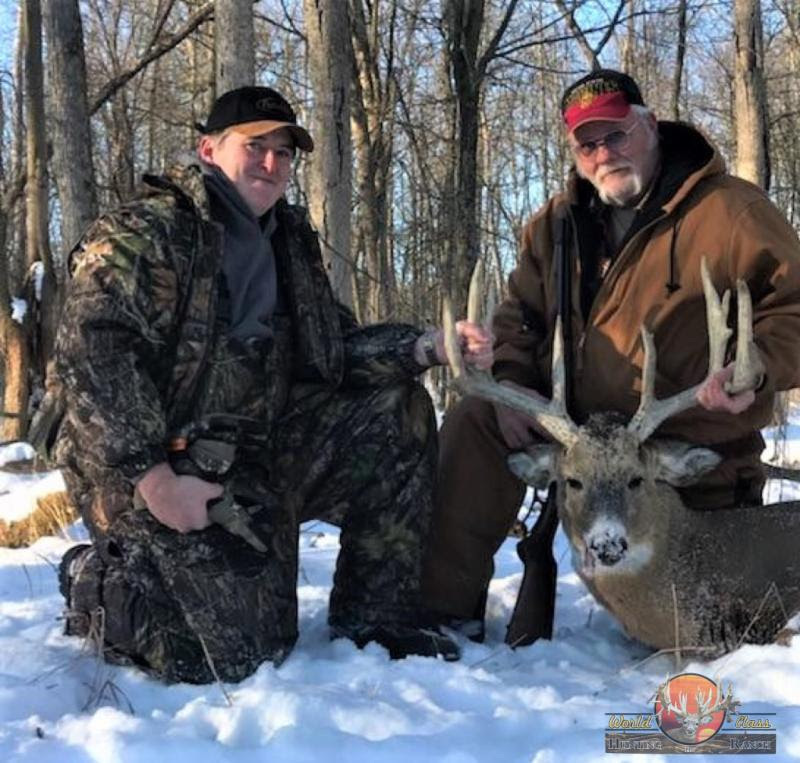 So, on Thursday afternoon, Matt sees the buck he thinks would make for a great wall hanger, however, there was no great shots. 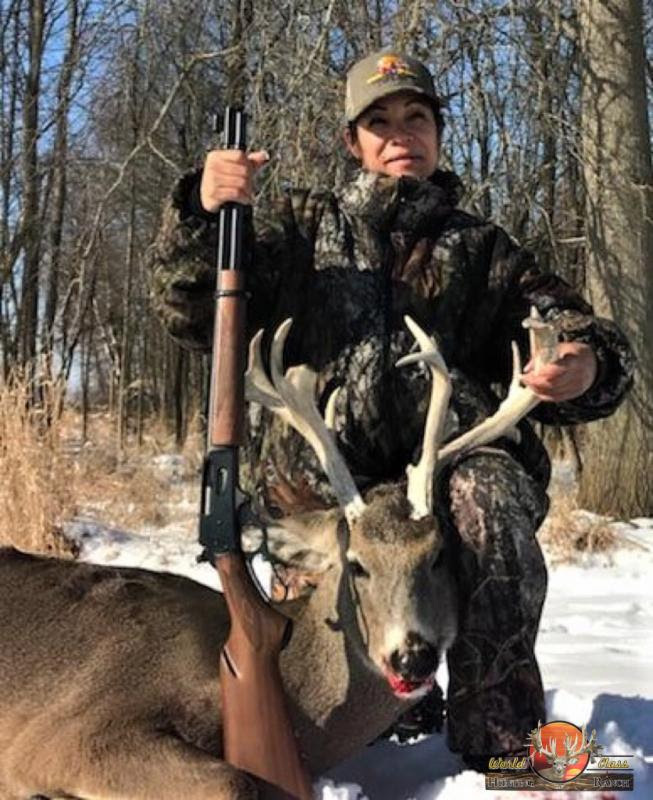 By now, the herd is dwindling, as we are close to the end of the season, and so there are numerous bucks with one antler already lost, as well as some with no antlers. 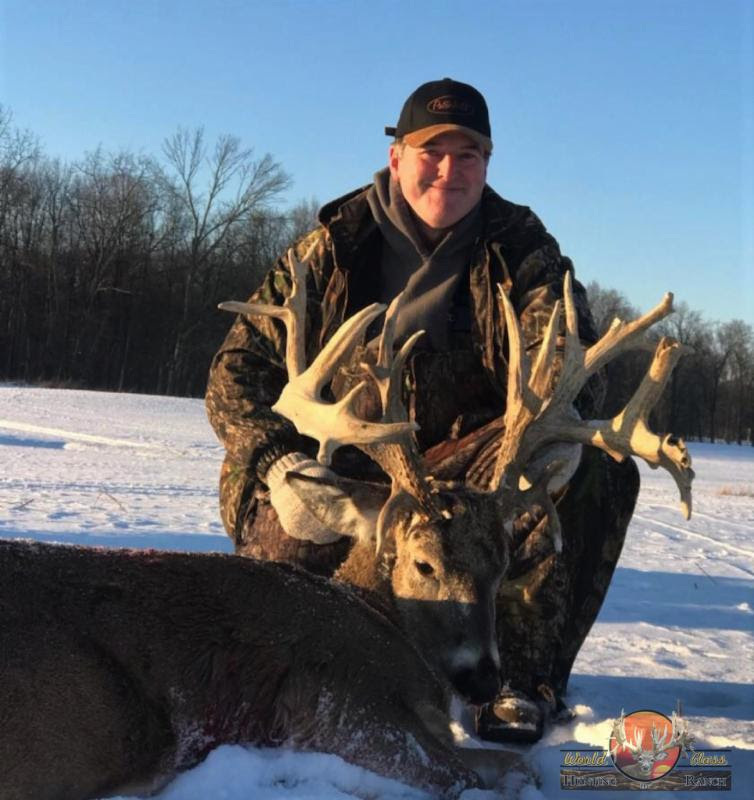 Finally they decide on a stalk, as these deer simply wouldn’t come close to the blind… Matt made an awesome 180 yard shot, and he had himself a beautiful 240″ Trophy!